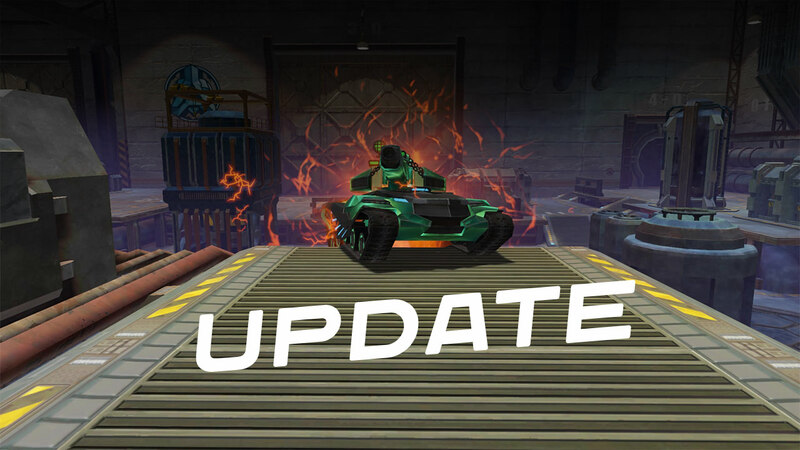 Today we have a big and important game update, which significantly changed the gameplay. The power of the tank (the damage of the turret and the armor of the hull) are no longer affected by the level of the modules it has equipped on. The burning damage is displayed in the game now. All turrets and hulls have been rebalanced. New information will appear on RU Wiki in the next 1-2 days (EN version will take longer). The team now automatically shuffled for balance in the matchmaking. Supplies on the battlefield now work for 30 seconds and give a 15% bonus. The maximum damage from burning was increased to 250 per second. We added a more complete list of characteristics of all weapons and modules in the garage. Now you can see all their interesting properties! For example, the speed of Vulcan overheating, the number of Hammer shots or the speed of Ice Trap freezing. We added a description to containers in the game shop, which explain their mechanic. Some graphical errors on the Sandbox map were fixed. «Escape» button in the interface works as the «Back» again. We fixed a bug that allowed the camera to get into map textures in some cases. We changed the drop rate of some maps, the more heavy maps such as West Prime and “Kungur” will drop a little less often. We fixed several bugs that caused the game client to crash. The speed of rotation of the turrets now depends on the hull: with light hulls, the speed of turret rotation will be higher, with heavy hulls the speed will be lower. The speed of all hulls was Increased. The acceleration of light hulls was increased, in turn, the acceleration of heavy hulls was reduced. The speed of rotation of heavy hulls was reduced. «Titan» is now part of heavy hulls, and «Dictator» is now considered as a medium hull. We reduced the back hit area, and the damage on it is reduced to 15%. The Impulse Jump creates a point of propulsion that raises dust from the ground and flings the tank into the air. Upgrades increase the height of the jump and reduce the cooldown. The ability cannot be used if the tank is in the sight of the Shaft or under the effects of burning or freezing. The impulse is the same for all hulls, so the lighter the hull, the higher it will jump. The height of the jump also depends on the level of the module’s upgrade. The Impulse Generator creates a circular shock wave around your tank that pushes enemies away from you and causes minor damage to enemies. The Fiery Ring creates a ring of fire around your tank, burning and damaging those caught in it. The Explosive Mass powers up a charge and creates a powerful explosion, causing great damage to all surrounding enemies. The module has a long cooldown, and the damage from the ability is the same throughout the area of the explosion and ignores obstacles. An activated ability can be canceled by the destruction of the tank or using the module EMP. Armor reduces the damage from this module, and the module Increased Damage increases its power. At the same time module, Invulnerability is the way to protect your tank from Explosive Mass. Tier II and III modules now have 10 levels of upgrades, and the price for upgrades is lowered. Module «Accelerated Gears» now increases not only the speed of rotation of the turret but also the speed of rotation of the body. Module «Adrenaline» now increases the damage. The color of the icons when module recharging now changes from red to green, where green means that recharging is almost complete. Blueprints for the new modules were added to all existing containers with blueprints, including battle containers and the store. 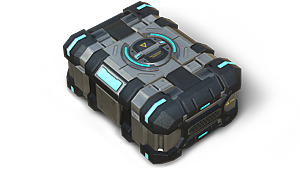 In addition, a new container «Scout blueprints» is temporarily available in the game shop for 199 x-crystals. It contains at least 90 blueprints for 4 new modules. In the coming days, we will publish a survey to assess these changes with your help, and during December we will closely monitor the statistics, so there may be changes in the balance of weapons. Triple experience for the weekend!